Tademy, Lalita. 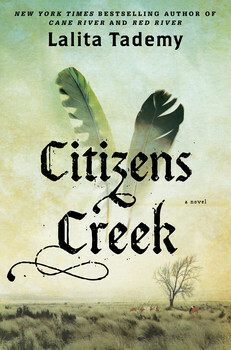 Citizens Creek. New York: Atria Books, 2014. This multigenerational tale relates the story of Cow Tom, a black man enslaved to a Creek Indian in Alabama who became a chief in the Creek Nation. The story follows Cow Tom and his desire to purchase his freedom through his marriage to Amy, his service in the Seminole Wars, the birth of his children, his removal to Indian Territory, his loyalty to the Tribe, and then follows his granddaughter Rose. It is based upon a true account. While the story bogged down and moved a bit slower than I would have liked in places, it was a fascinating account. It is a story that deserves to be kept alive, and Tademy has done an excellent service for us all in telling it. This review is based upon an advance e-galley provided by the publisher through NetGalley for review purposes.